And to balance things out, also check out what Dave Jones of the EEVBlog has to say about the Uni-T UT71E and UT61E in general. Now with the basics out of the way, below are a few shots of a new-ish specimen. This is to allow others to compare their own multimeters with mine and to have a record whether Uni-T improves their input protection. In general: It feels solid and works as expected. From the pictures you can see, that the input plugs and protection wasn't improved too much. It differs a bit from what Martin Lorton has reviewed. 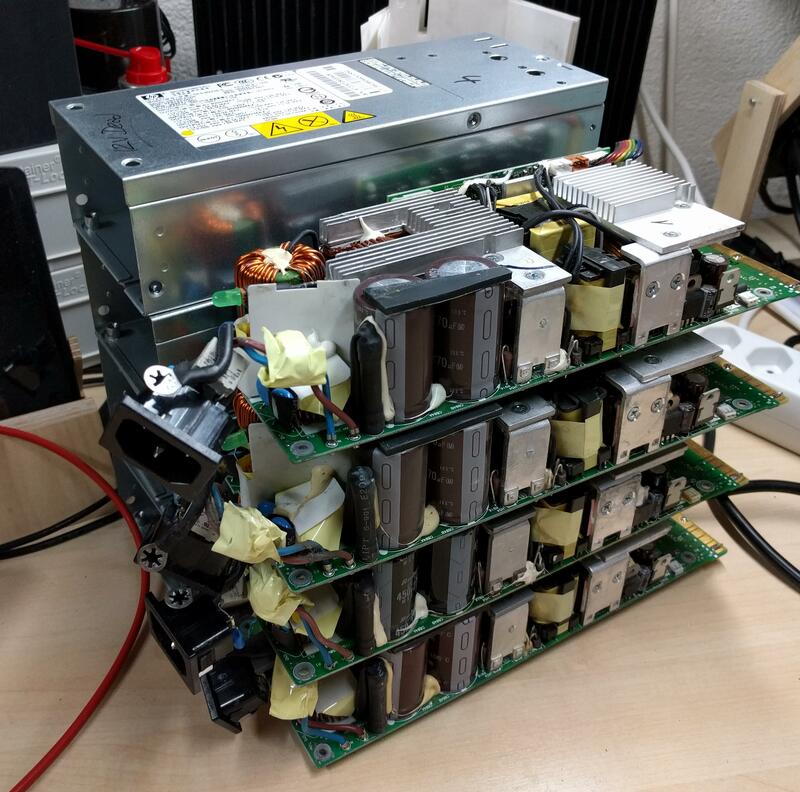 Plenty more images to compare when you google image search for UT61E teardown. They also still use the same fuses that Dave Jones hates so much. I'd love to see him blow up various fuses for an actual scientific comparison between these fuse brands. 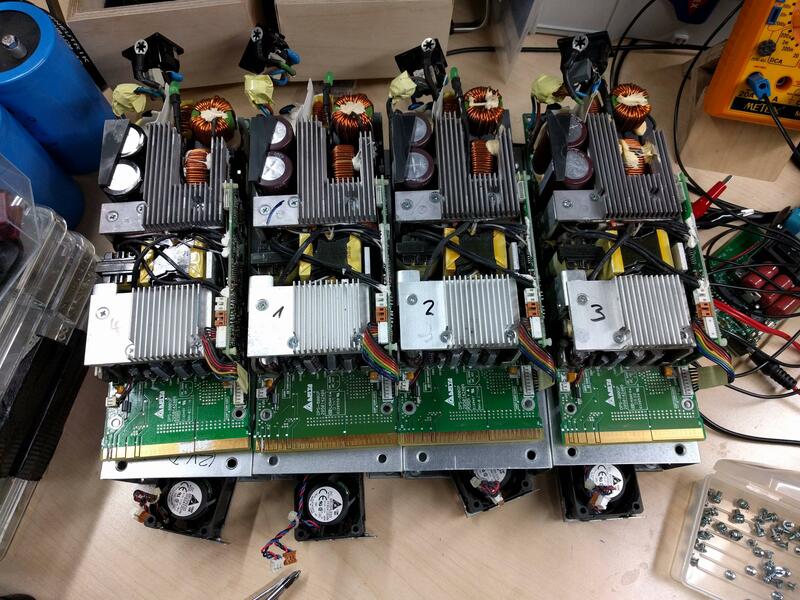 I recently snatched Four of these nifty 1kW power supplies. They were all used but still working. Well I kinda damaged one of them but more on that later. Here are a few shots of these things. They're pretty compact for that amount of power. Here they are removed from their cases and ready some customization. 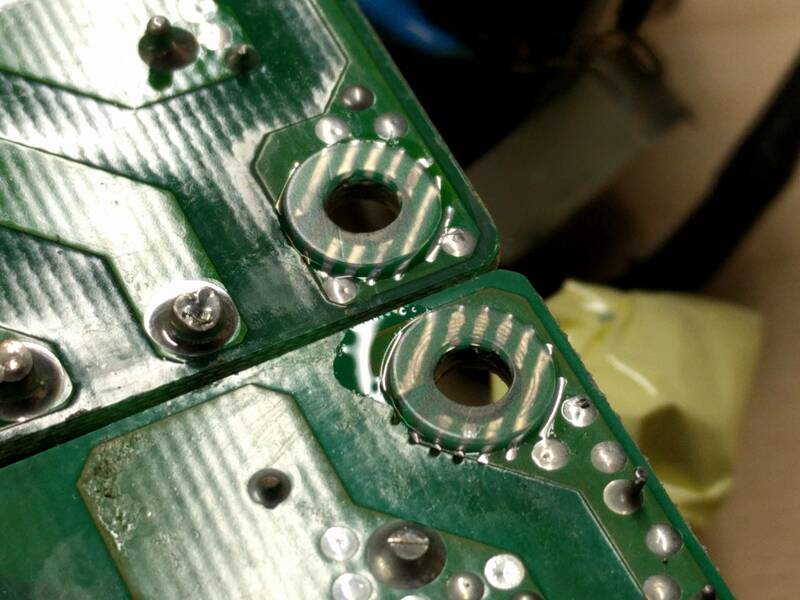 To disassemble, remove all screws on the outside of the case except for the Eight that hold the fans in, remove the lid, remove the Four screws in the corners of the PCB. Pop out the mains connector and push in the LED. Then you need to pull the mains plug out of the case so you can guide the mains wires through the opening where the mains plug was. It's a bit fiddly but It'll come out. Just be patient and try not to rip off the caps and whatever else is soldered to the mains plug. 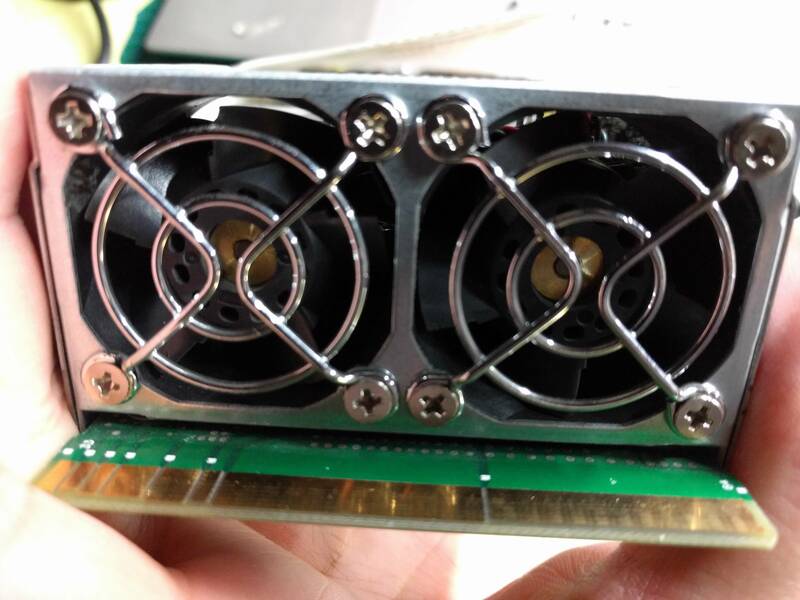 The fans are in their own little subassembly which can be gentrly pried away from the rest of the board after unplugging the fans. Please not that the PSU will shutdown a few seconds after powerup when either of the fans isn't connected and running. Now, chaining them together is easy as pie. As long as they are NOT connected via DC Ground (which goes to the casing, which goes to earth ground, which would lead to you having a bad time). 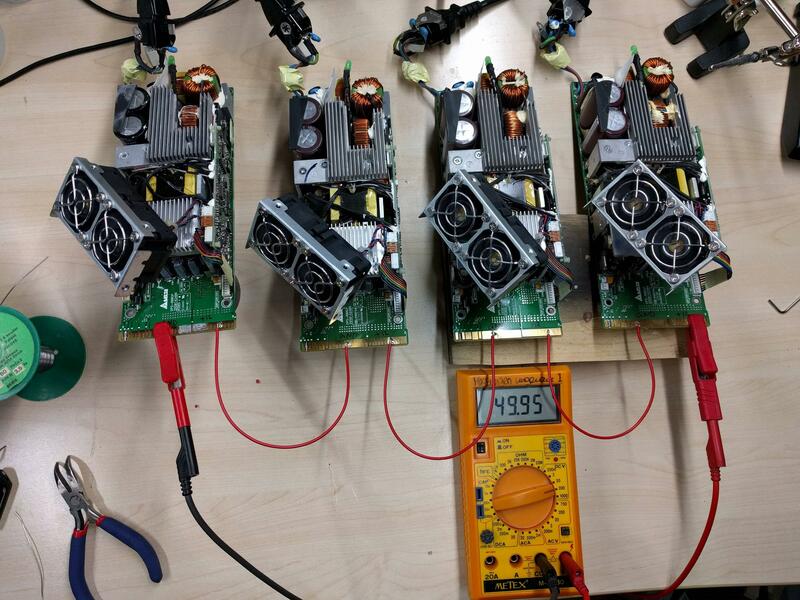 So here they are chained together to make for a sweet 50V and 82A power supply. So to really use them you might want to consider a few customizations. For one, you could connect the voltage sense line to the 12V output. 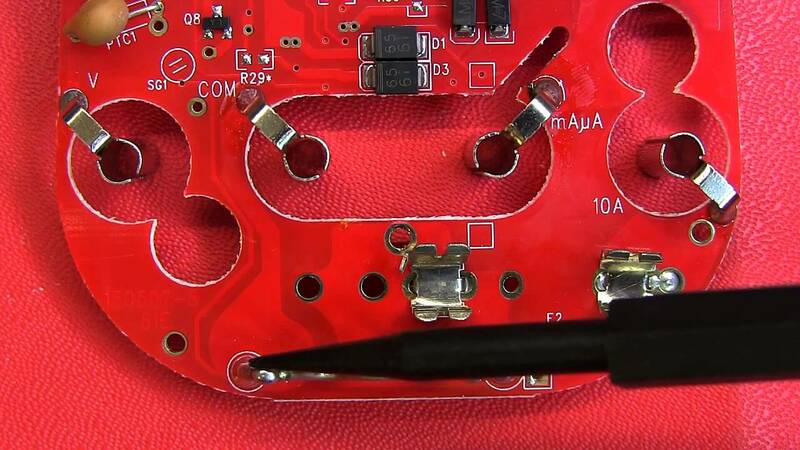 This requires a soldering iron with a high heat capacity as soldering to the vias of this big 12V plane requires substantial heat since a good portion of the heat is instantly absorbed by the copper on the PCB. 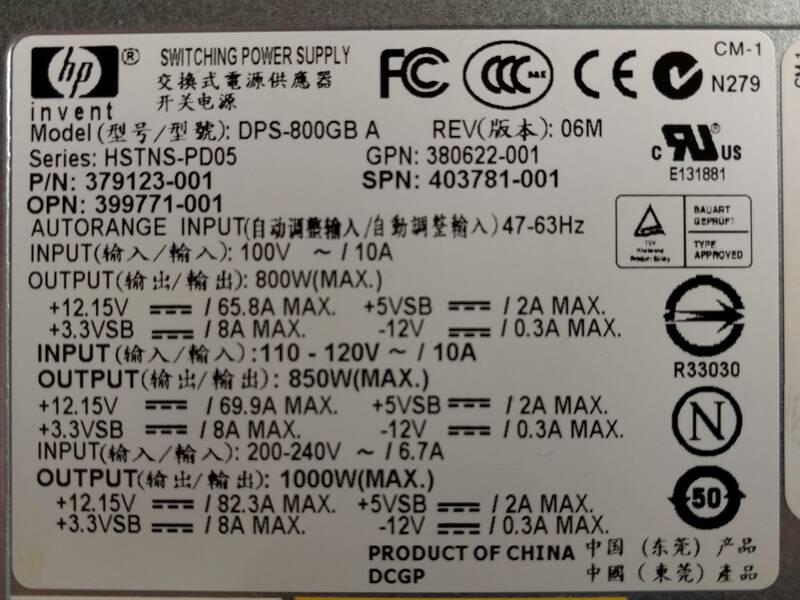 In the image below, you could also connect the first and fourth pin from the left to have the PSU switched on permanently. To power on the PSU, I soldered connected Pins 31 and 34 on the connector. This leaves me the option to remove the connection at a later point in time and switch it on and off with a switch. Now, to isolate Ground from the Case, I used Polyamid washers and screws in all Four corners. I glued the washers in place with a drop of superglue, otherwise reassembly of the unit into its case would be impossibe. 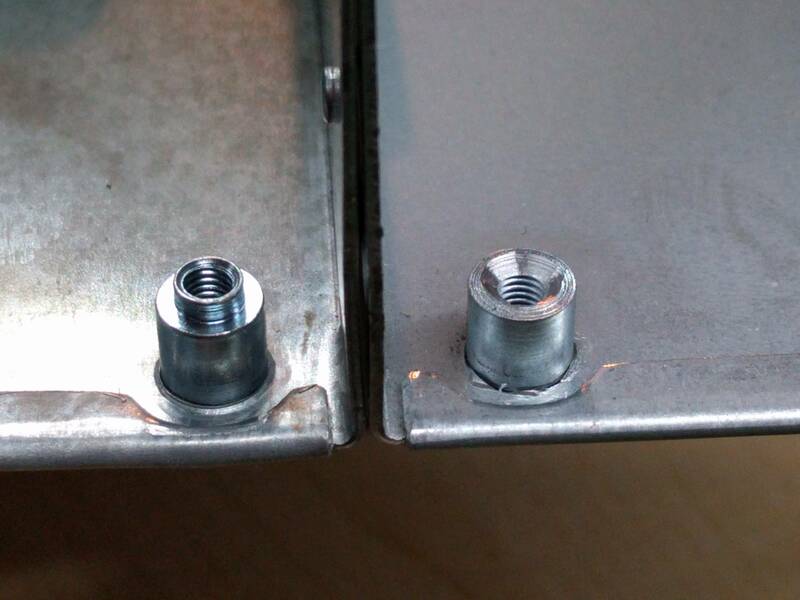 Two of the "nuts" in each case have a flange that go into the pcb, these can be removed with a metal drill. They're gone pretty fast so be gentle. 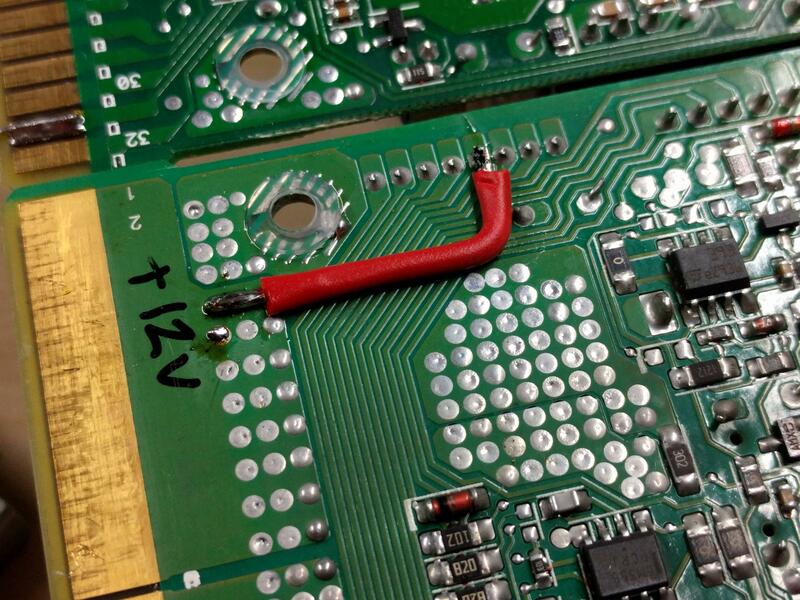 Then reassemble the unit, screw the PCB in place with the Polyamid Screws (It's a M3 thread) and that's it. Check with the multimeter to be sure that there is NO connection between the case and DC Ground. Now I mentioned in the beginning that I damaged one of the PSUs. 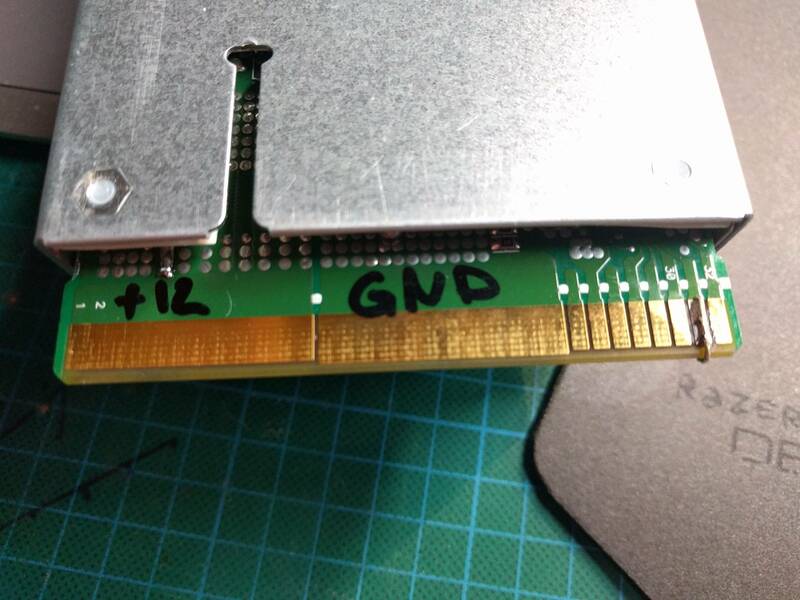 When tinkering with them, trying to turn them on I must have shorted out some of the connections and now it seems the 5V rail is low and as a result of that, one of the fans won't start. 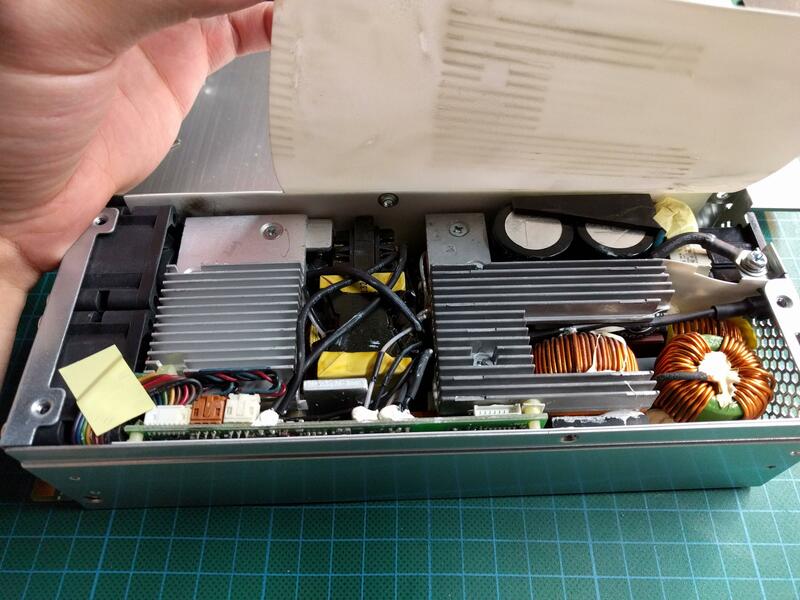 With a little help, they both start and the PSU will stay on (when the fans are disconnected or either of them doesn't start on power-up, the PSU will shut off the 12V rail to protect itself from overheating). So yeah, One of the Three is now iffy and I'm trying to find out why. 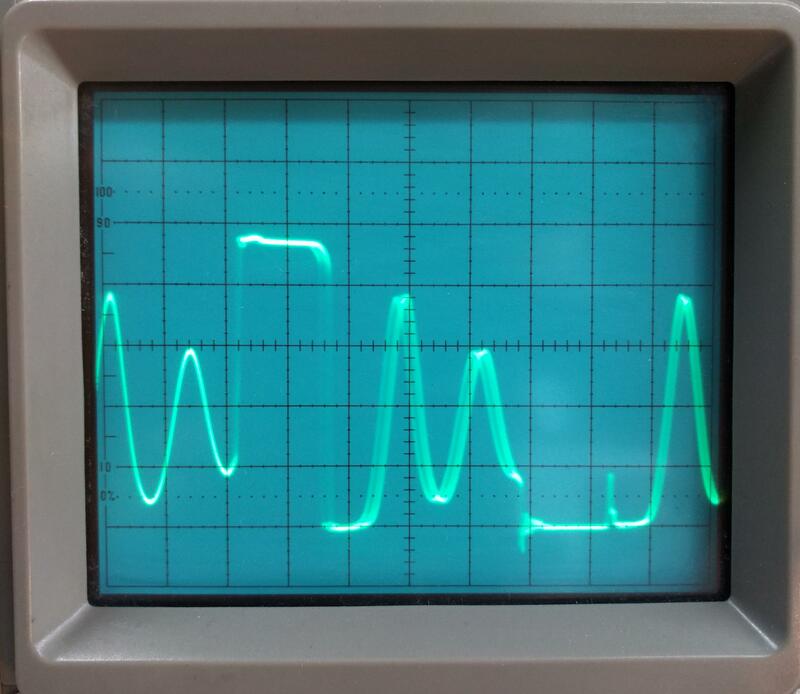 I probed around with my oscilloscope and found some weird signal on the secondary of one of the coils (See below. 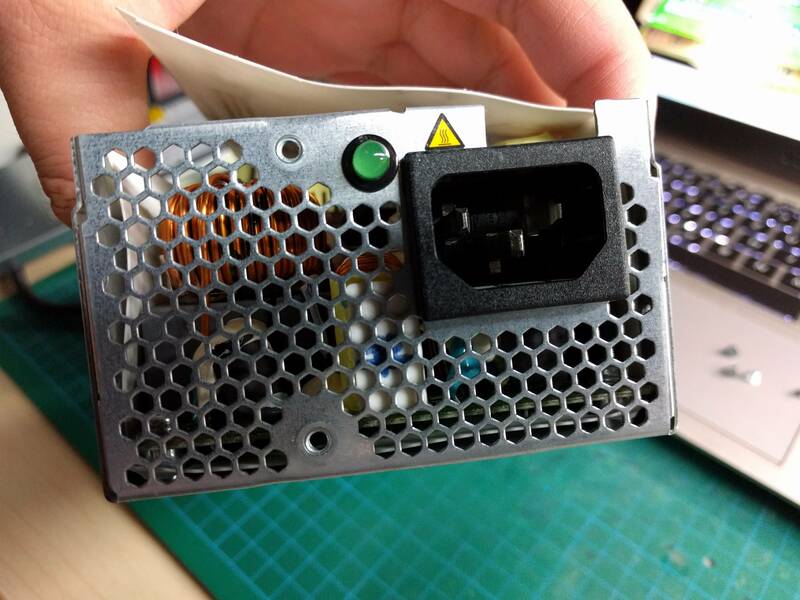 This is a nice rectangular wave on a working PSU). Not sure what causes it and I don't dare probing the primary side for fear of blowing up my oscilloscope. If anyone knows whats causing this or has some hints, leave them in the comments below! Yes tons of stuff can be ordered for next to nothing from China but be sure to check the quality. So sometimes this stuff is just billig (cheap) and not günstig/preiswert (good value for money).... Caveat Emptor. So you really need that java lib somebody made but they can't be bothered to upload it to maven central or jcenter? Build it yourself and host it on your nexus repo. That's what the script below does. Additionally, it includes a little xslt magic which allows to change the pom.xml in any way you want. Are they using snapshot versions? No problem, just insert your own (as shown in the script). Need to change a dependency? With some more xslt you can definitely do that too! You can run this script locally or on a build server (the script is using jenkins' BUILD_NUMBER environment variable). Hope this is useful to someone. All you need to install is 'xsltproc'. It seems jolokia doesn't support dumping everything with just one command. Once you've gotten this far, piping the information into a file or another tool is trivial. Running shell commands from groovy is really easy too. Make a list and call 'execute()' on it - how awesome is that? And there you have it. Running shell commands from groovy couldn't be more convenient! It turns out you can just call 'execute' on a string. So it's even simpler - at least this post now covers most (all?) ways to launch a command from groovy.